Massive Multiplayer Online Role Playing Games (MMORPGs) are gigantic software projects, usually reserved for big businesses with lots of money. There is a new genre, the Indie MMORPG. 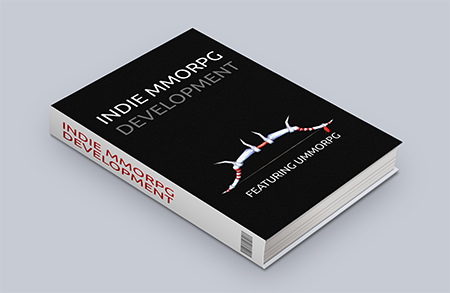 The idea is for a small group of independent developers to make an MMO all by themselves. This book is about my approach to the MMORPG challenge. It is very different from the traditional approach. We will not setup grand architectures with login servers, load balancers, database servers and handshakes. We will not develop our own website. We will not use Paypal. We will not implement DDOS protection. We will not spend the next decade writing the code. We will not write game design documents. We will not write assembly code for micro optimizations. We will not deal with C++. If you are interested in any of these topics, then this book is not for you. Instead, we will follow the KISS principle: keep it simple and stupid! We will go through all the major MMORPG development aspects and my take on them. All of the solutions presented here are optimized for simplicity to make sure that we actually launch successfully. Note: this is still an early version of the ebook, expect some rough edges and future improvements.